Attorney client privilege is a key part of our legal system, and in many legal systems throughout history including during the times of the Roman Empire. The attorney client privilege allows a client to speak with their attorney honestly and without fear over whatever they disclose to their attorney being shared with other parties including government agencies, criminal justice authorities, businesses, relatives, or any other third party. However, there are situations in which you may not be protected by attorney client privilege when speaking with a lawyer, situations in which your own actions can break the attorney client privilege and force you or your attorney to disclose information which you may have assumed to be completely confidential, and considerations regarding the presence of third parties such as family members or expert consultants when communicating with your attorney. 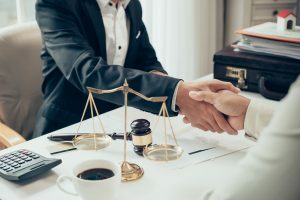 In today’s article, we will discuss the above-mentioned concerns regarding attorney client privilege as they relate to personal injury law, but in general the same considerations can apply to any legal matter including criminal defense, employment law, commercial law, and more. One of the most common misunderstandings when it comes to attorney client privilege is the idea that all communications between a client and their attorney are privileged. While attorneys have an ethical duty to keep sensitive information private (referred to as attorney client confidentiality), their evidentiary duty to protect communications between themselves and their clients (attorney client privilege) generally only exists once their services as an attorney have actually been retained, or they are being consulted for legal advice by a potential client. This means if you ask your attorney friend for advice, but aren’t necessarily seeking their legal representation, such communications probably aren’t protected by attorney client privilege. Or, if you speak with your attorney about matters pertaining to something other than what they are representing you for, that information is most likely also not protected by attorney client privilege. All this being said, when you call our Ewing personal injury attorneys for a free and confidential consultation, you can rest assured that any information you share with our attorneys regarding your potential personal injury claim will be protected by attorney client privilege. Once you have retained the services of our Lawrence accident and injury lawyers, or any other attorney for that matter, all communications between you and your attorney are protected by attorney client privilege. In the case of a personal injury claim, this means that the insurance company cannot compel you or your attorney to disclose anything that was said between yourselves when communicating over the details of your personal injury case. Critically however, your own actions can break this privilege if you are not careful. For example, if you tell a friend or family member any of the information you shared with your attorney or that they shared with you, you are choosing to break the attorney client privilege, and this information can now be compelled to be disclosed and potentially used against you in court if it is discovered you broke privilege. As compelling as it can be to share your life, concerns, and situation with a friend or family member, it is extremely important that you understand that any information you share with un-privileged parties can be used in court against you should the insurance company learn of these communications. The final consideration we will discuss is how attorney client privilege is affected by the presence of third parties during your communications with your attorney. As a general rule, your attorney client privilege will continue to apply as long as any third parties present during your communications with your attorney are there in order to help your claim. In many personal injury claims, your Trenton injury attorney will wish to consult with experts in various fields, either for providing witness testimony, or simply for a better understanding of your unique situation and what you may require moving forward in terms of medical treatment or rehabilitation. As these experts are clearly present in order to help you succeed in their claim, it is very easy to show a court that their presence was “essential”, “necessary”, or “highly useful”, thus ensuring attorney client privilege is protected. However, including family members in your communications with your Trenton injury attorney is a much more “grey” legal area. In some situations it can be argued that the presence of a family member was necessary such as when the injury victim is suffering from cognitive damage as a result of their injuries, or simply has a pre-existing medical conditions which make it necessary for a family member to be present. On the other hand, there are situations where including a family member in discussions with your personal injury attorney really is not necessary, and their presence does nothing to improve or help you win your claim. In these situations, while it is unlikely the insurance company would know of your family member’s presence in your meetings with your attorney, should they discover this information, they can compel this family member to share information which would have otherwise been protected by attorney client privilege. When it comes to understanding whether or not, and to what degree, the sharing of information with your family members may be breaching your own attorney client prilivege, it is important that you raise this issue with your personal injury lawyer so that you can secure the support you need during such difficult times while still protecting the strength of your injury claim and your legal and financial future. At The Law Office of Kamensky, Cohen & Riechelson, our attorneys have extensive experience successfully recovering full and fair compensation for our clients in personal injury claims of all kinds in towns across New Jersey and Mercer County, including Trenton, Ewing, Lawrence, Hamilton, Princeton, and West Windsor. If you or a loved one has been injured in any kind of car accident, truck accident, motorcycle accident, bus or train accident, construction accident, a slip and fall, an accident on a dangerous or poorly maintained property, by a defective product, or any other kind of accident resulting from the reckless or negligent actions of another party or parties, it is important that you recover the financial compensation you and your family needs and deserves for your medical expenses, lost income, and physical and emotional pain and suffering. When it comes to making a successful recovery and navigating the often complex waters of NJ personal injury law, our firm is ready to provide you with the experienced, knowledgeable, and highly effective and attentive legal service that you need and deserve. To speak with one of our personal injury lawyers today in a free and confidential consultation regarding your accident and resulting injuries, your options for making a personal injury recovery, and how exactly we can help you to do so, please contact us online, or through our Trenton, NJ office at (609) 528-2596.